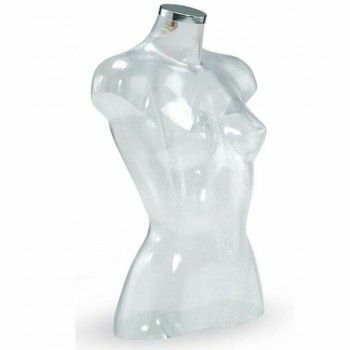 This beautiful female bust is made of polypropylene and is translucent: it highlights the fine details of the dummy. The absence of head gives full effect to the silhouette. This bust adapt easily to various displays and collections of the moment. This model is timeless and has been designed for optimum durability: it requires little maintenance. For the sake of customization, Models Online offers you busts these women in order to regularly change your windows. Bust woman polypropylene and translucent. Mannequin without head or arms. Bust that requires little maintenance.